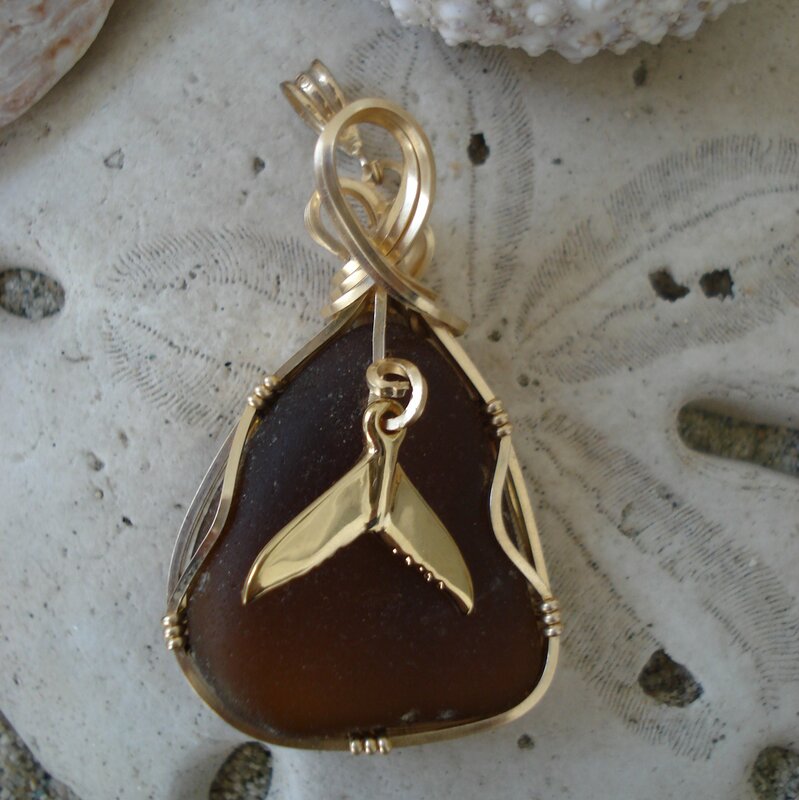 Brown sea glass pendant wrapped in 14kt gold filled wire with a 14kt gold filled dolphin charm. 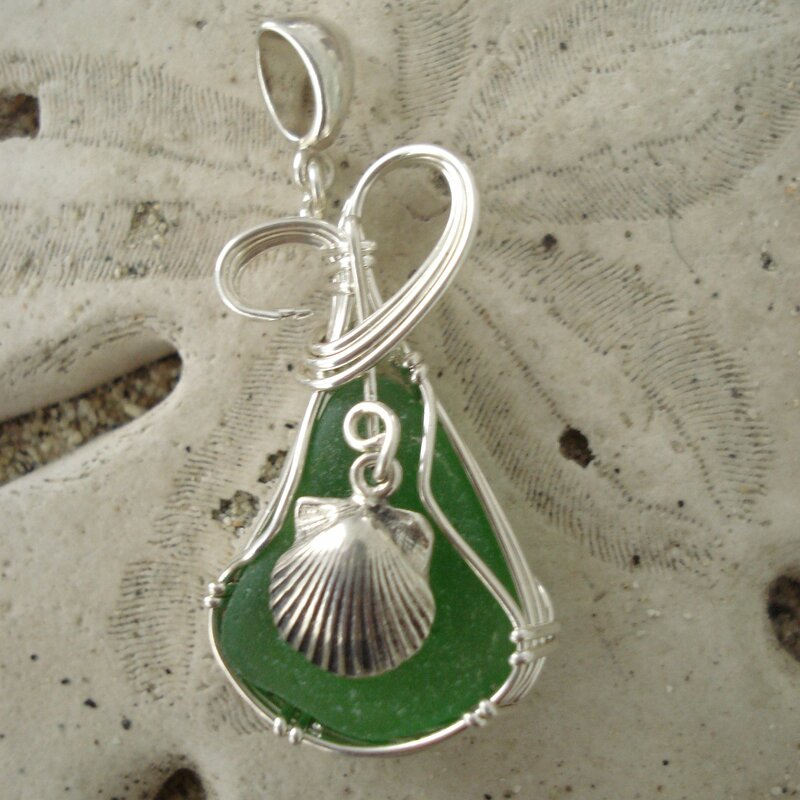 This is a lovely sea glass pendant and the dolphin is oh, so cute. Length about 2″ and across at widest part 1/2″. When you hold the sea glass up to the light the color is a root beer brown. 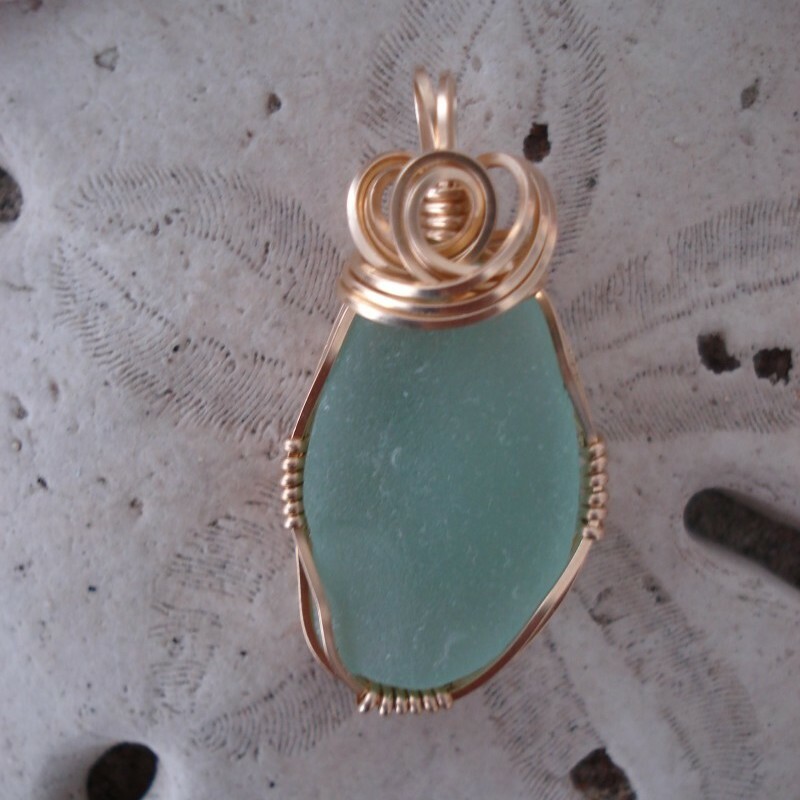 Pendant comes with a 14 kt gold filled chain of 18″. 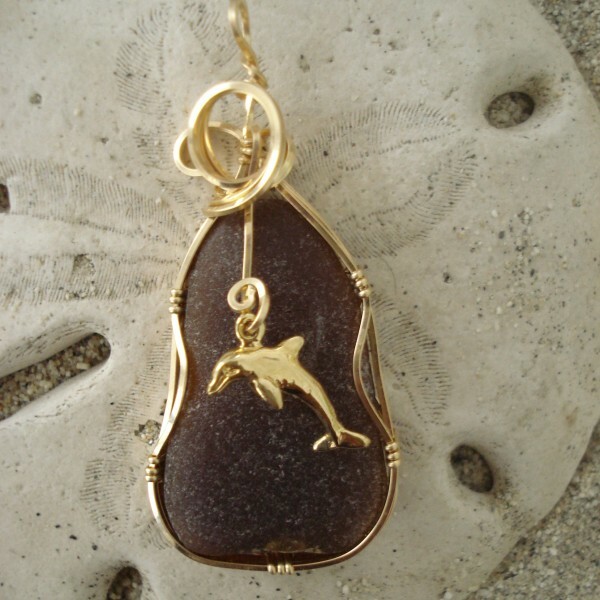 Personally, I wear my gold sea glass pendants with a 14kt gold chain and it looks fab.